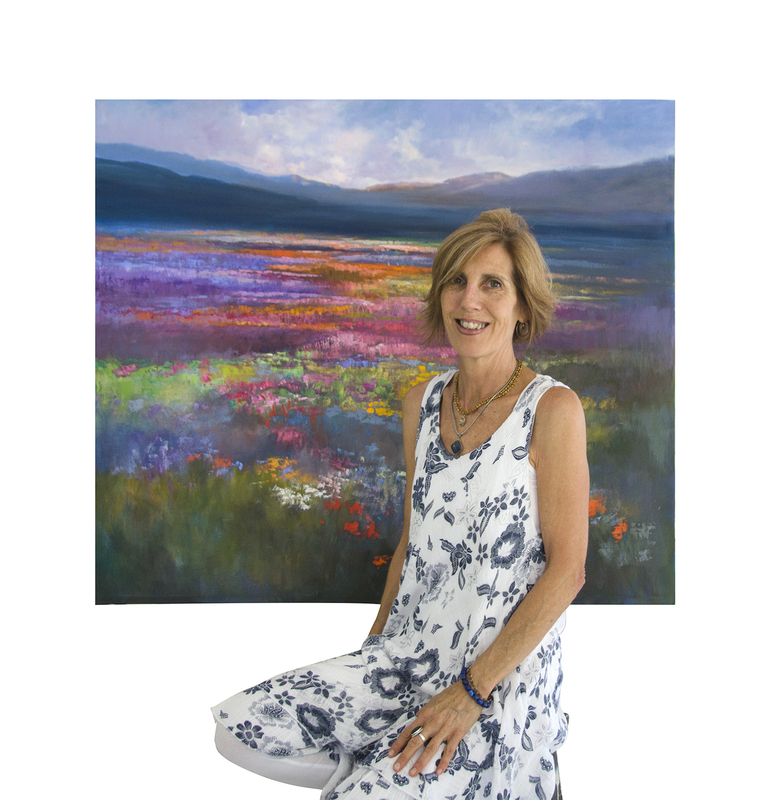 Drawing her inspiration primarily from the beauty of the natural world, South African artist, Diane Erasmus, has emerged as one of the most innovative and creative painters of her generation. Her vivid and colouristically inventive landscapes and seascapes are imbued with a profoundly spiritual awareness, yet remain grounded in those elements which define a great work of art. She prefers to work from life and travels extensively in order to glean new material for her work and whether in her depictions of the floral glory of the Namaqualand spring re-birthing, or in her moody treatment of river and seascapes the honesty and uniqueness of her vision shines through. Under the mentorship of her life-partner renowned landscape artist Anton Benzon, her work has matured to the extent that it has become instantly recognizable and once seen imminently memorable. The possession of this fine artist's work has become not only an authentic pleasure but a progressive and fine investment opportunity. Diane undertakes Commissions. If you like any of the sold works, and would like something in similar colours and of similar subject matter email Diane with your request.